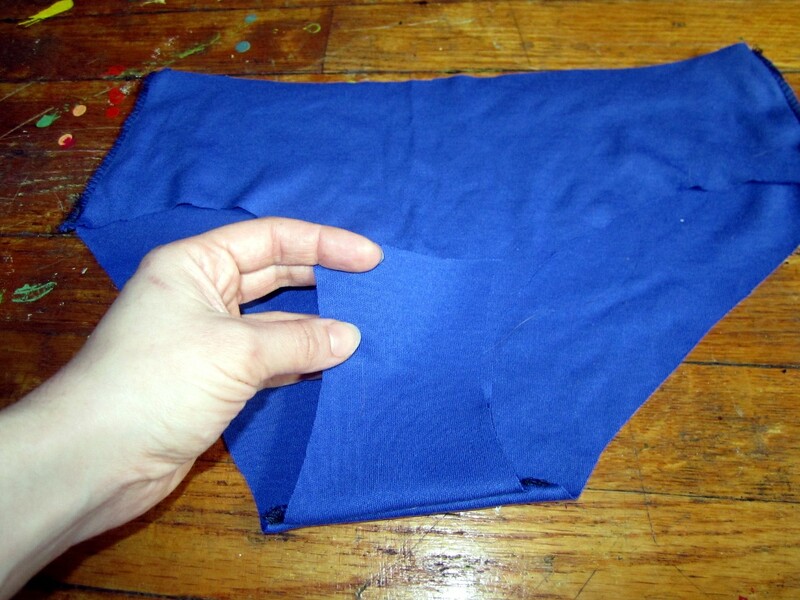 There are several online tutorials for hand-made underwear, but many of them tell you to cut up an old pair of underwear in order to make a new pair. 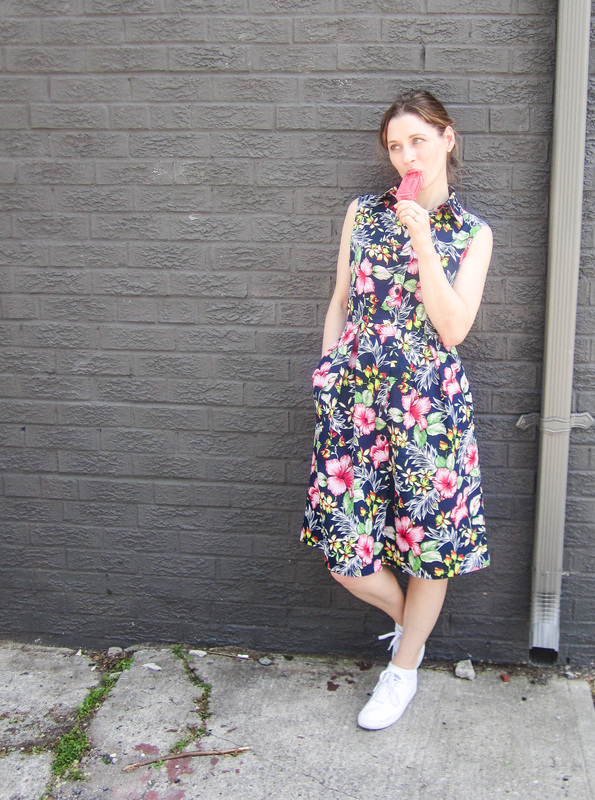 In this tutorial, I’ll teach you how to make a reusable pattern without sacrificing anything! Thanks for enjoying my content! If you like what you see, please feel free to donate a measly $3 to help keep me stocked in sewing notions. We’ll be using the pin-poke method, where you trace out the pattern using pins, and then connect the dots. 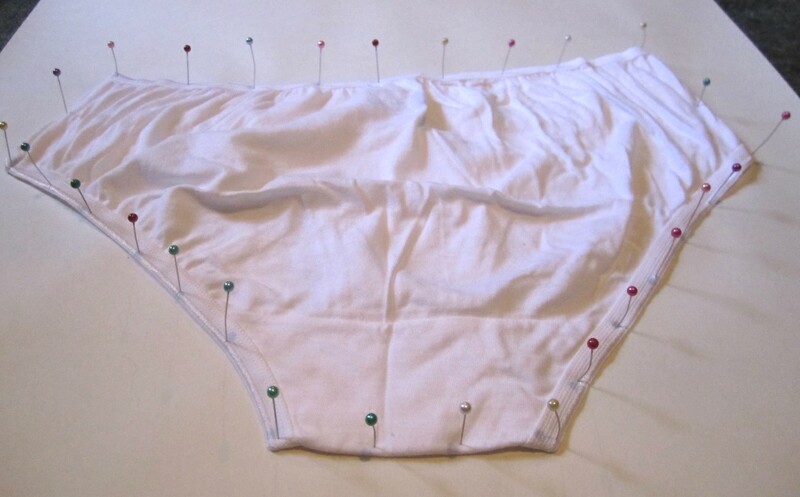 You’ll need a soft surface for this method (carpeted floor, or a piece of corrugated cardboard), so that you can keep your underwear pinned in place while you trace it out. 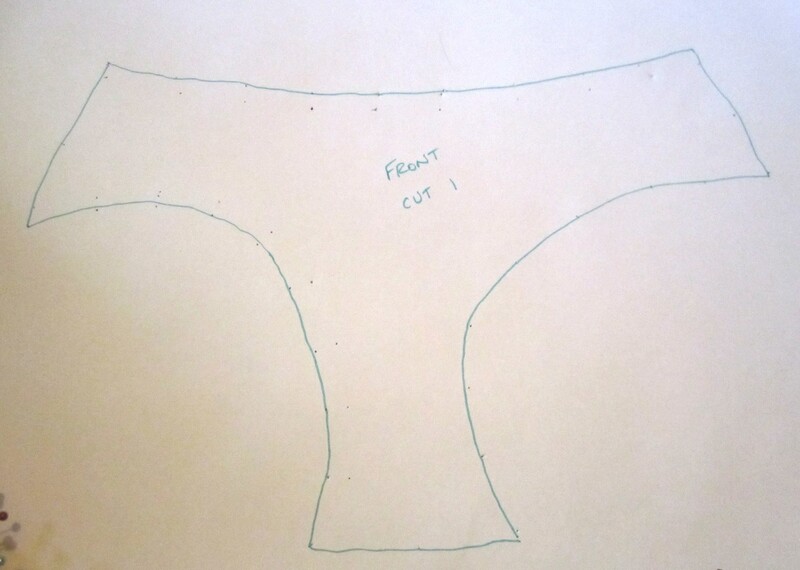 Underwear patterns are really simple. You have your front, your back, and your crotch lining. You add some stretchy lace trim and you’re good to go! Lay some paper down on top of a big piece of cardboard. Lay your underwear on top of the paper, front facing up. 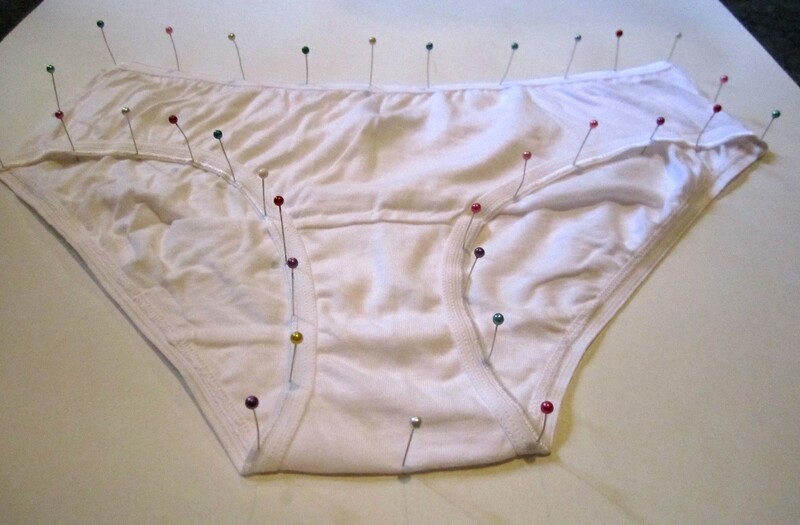 Using your pins, poke holes along the perimeter of the underwear. Remove the pins and undies, and connect the dots using a contrasting maker. Something that you’ll want to do now is trace a 5/8″ seam allowance around the outside of your outline. I forgot to make a seam allowance for mine and my underwear ended up too small! 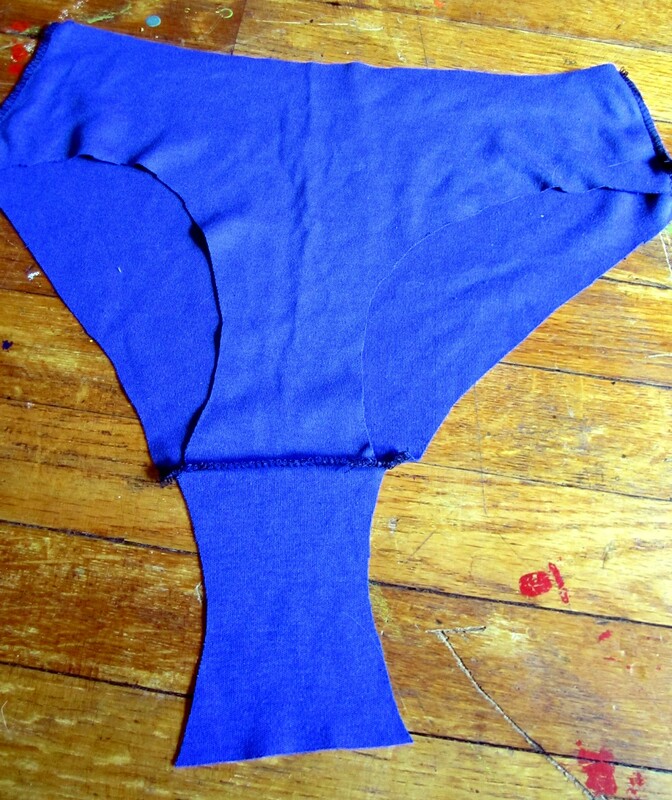 I will mention that the underwear I used for my pattern had something weird going on the with the crotch liner; it didn’t match up properly, so I had to trim down my pattern piece to get the liner to line up with the front and back pieces (see the dotted line in the above picture; that’s where the front and back pieces were sewn together, and that’s where I want my liner to start). If your underwear seams are fine (and they probably are; mine were just some cheap weird dollar store undies), then ignore this whole alteration! 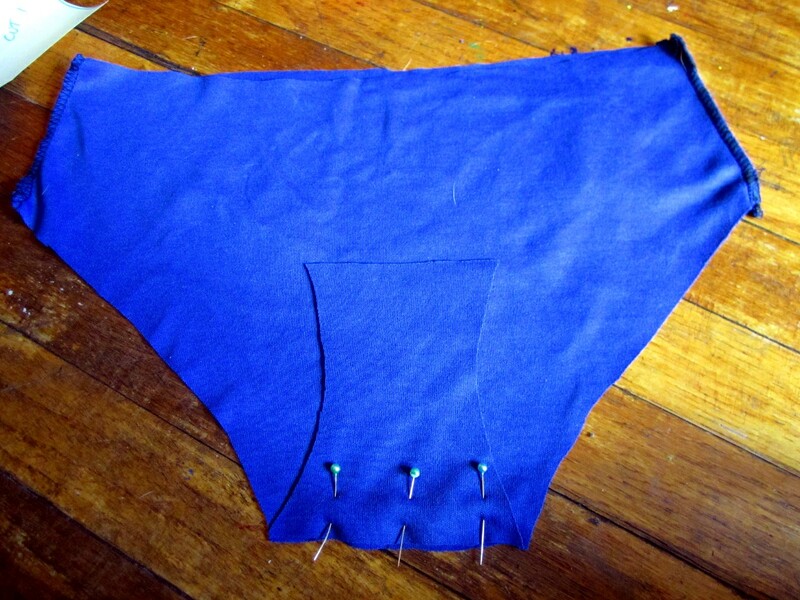 Lay your pattern pieces out on your fabric. And cut them out! I pinned mine in place, but you can also weigh them down and trace with tailor’s chalk if you prefer (that way you won’t wreck your pattern). 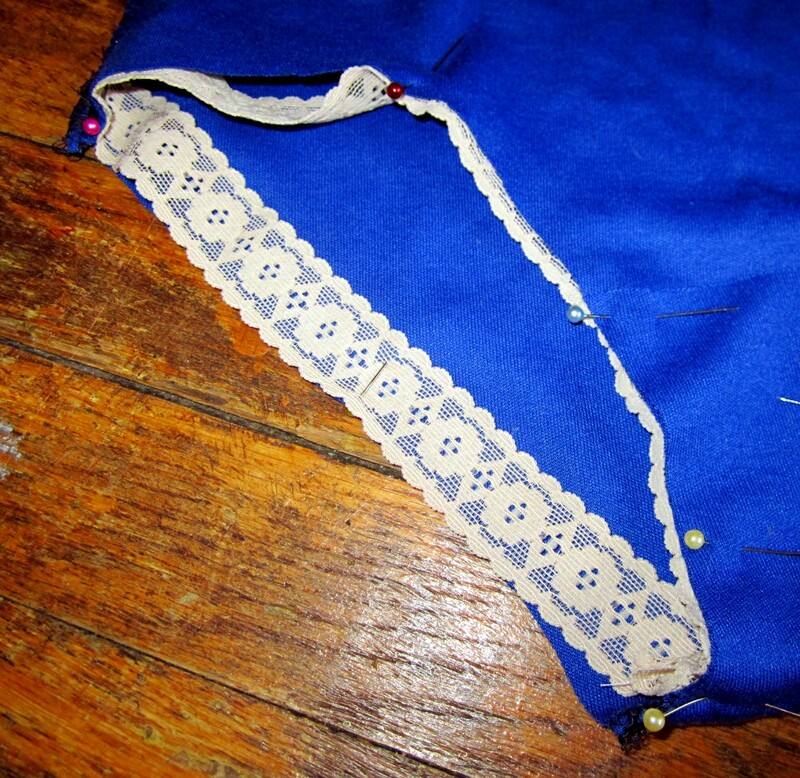 With right sides together, sew (or serge) along the hip seams. Now here’s the difficult part: attaching the crotch liner. I have sewn it on backwards many times, and I’m not sure if I can properly talk you through this step. 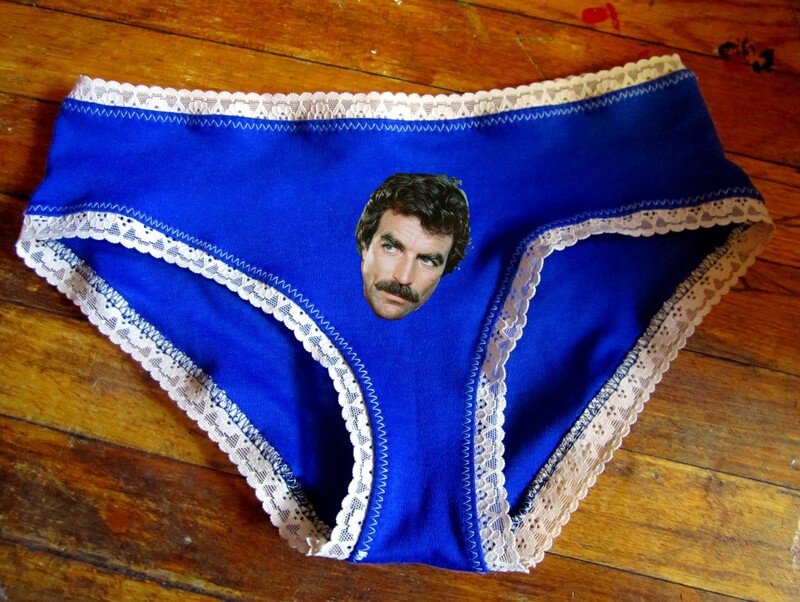 With the underwear facing down (still inside out), match the front to the back where they meet at the crotch. Now pin the liner to the back of the underwear where the front piece meets the back at the crotch (it’ll be wrong sides together). And pin it in place if you are so inclined. 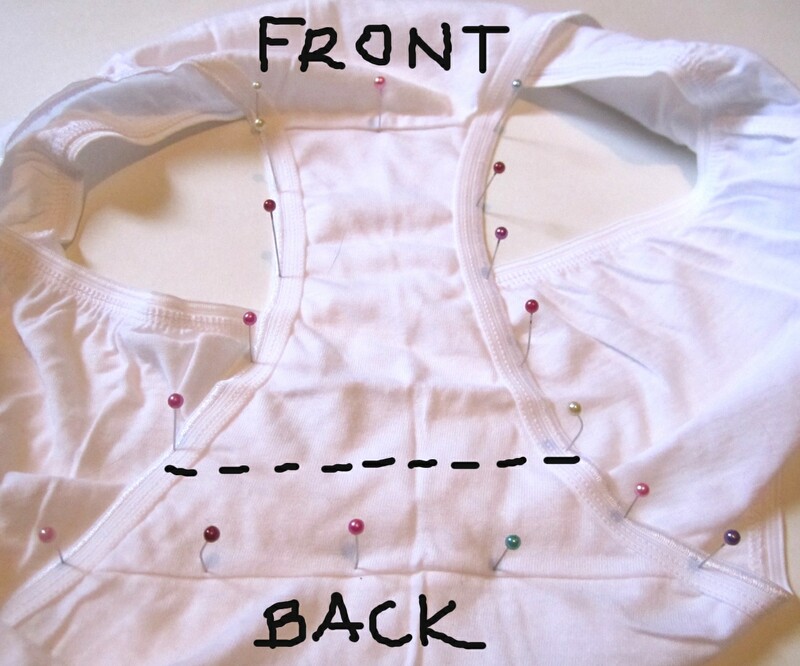 Sew together using a stretch stitch. 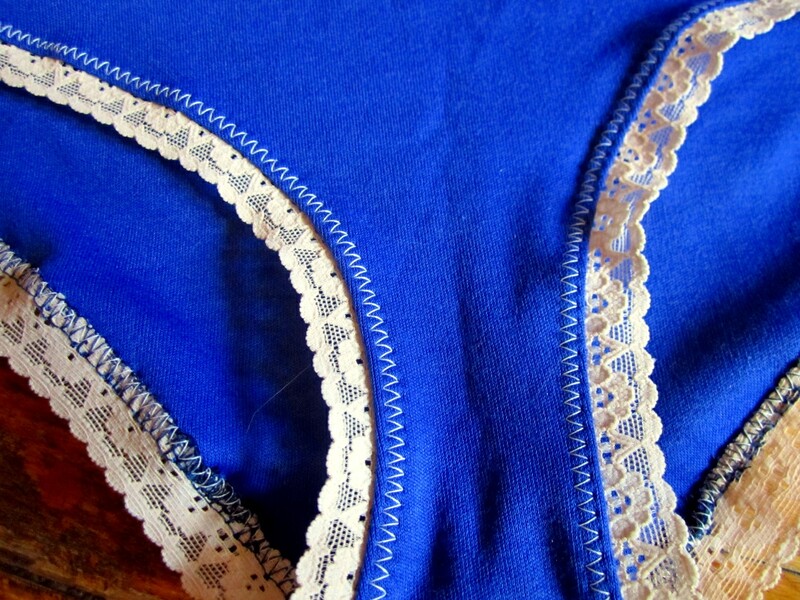 Finally, you can turn the underwear right side out, and sew a zigzag stitch (stretch would be best) around the edges of the underwear. 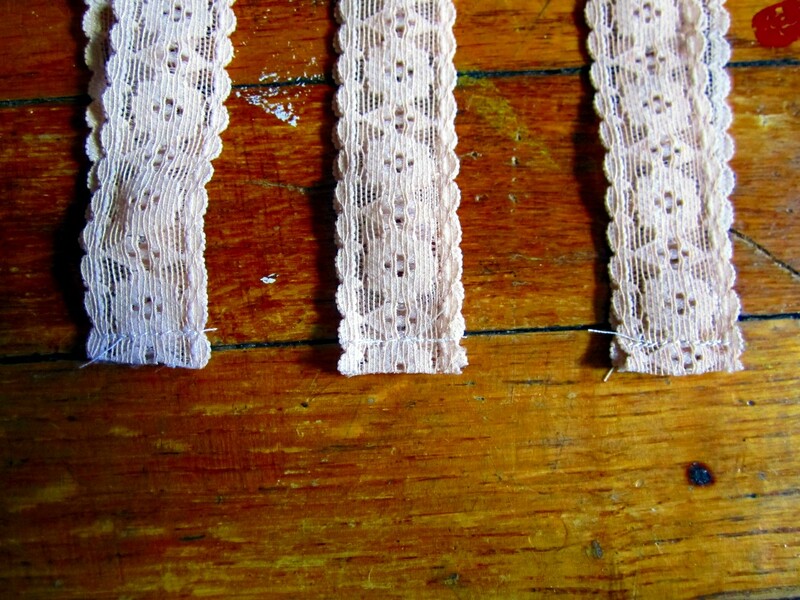 This will keep the lace trim from flipping up, and will make your edges more secure. And there’s your underwear! Make tons more and decorate them with buttons, embroidery, lacy flowers, iron-on transfer pictures of Tom Selleck, whatever you’d like. very simple method and cute.